Have a great trip! Hawaii!! Of course you’ll have a great trip. Can’t wait for your travel posts. Enjoy your trip and greet Michael for me if you meet him. Peter, Paul and Mary are one of my favorite old groups and love the song. It’s been a long while since I last heard this group! Look forward to hear some updates from Michael! I love that song :)Have fun, wishing you safe travels! And while you are there, if you can find one, would you PLEASE pick up a copy of Obama’s birth certificate and post it here? safe trip! and have fun! 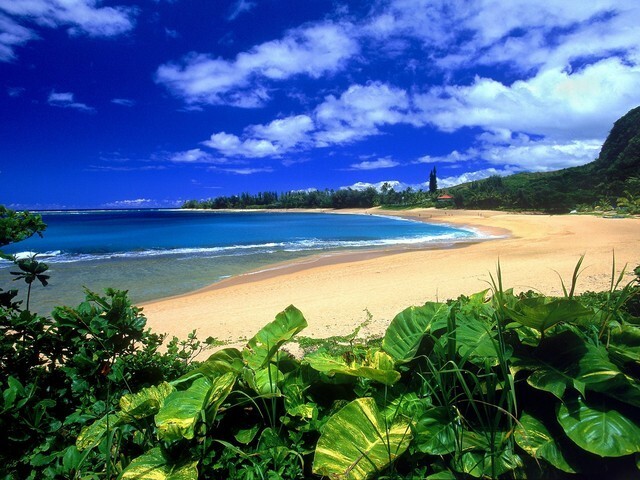 Have a great trip — Kaua’i is a beautiful place! awesome-o! have a lot to say about ppm… but i shall refrain myself (im sure p has a lot to say about me as well… and i doubt they r nice things)…. I wish both of you a safe and fun trip. Do say hi to Michael for me (and all of us). ohh mee gooo tooo!! 🙂 i hope you have fun! Wow, how fun. I am sure you will have a fabulous time. Have a great trip! The beach picture looks soooo inviting!! have fun! i wish i could go back to hawaii to visit… =(my parents said it’s been really rainy lately, though, so i hope you have good weather. sorry i can’t recommend places to visit on kauai, i haven’t been there in ages and don’t remember what’s there. if you get time on oahu, though, i can give you some recommendations there.